The interest for this project turned out to exceed anything I ever imagined and lots of units have been produced. Showing some of the batches that was made, in my “garage” production. The firmware was vastly improved, since the initial version. Supporting the entire Amstrad CPC range from 464 to 6128 plus. With this anyone can make their own custom build if desired and replace my build simply by copying M4ROM.BIN to the root of their sd card. And of course the cpcxfer program, to conveniently transfer files between pc and the amstrad cpc over WiFi via commandline. Giving you the ability to chat on IRC, download files via wget, copy files between floppies & sd and much much more. A nice video for the CPC strong hold in Spain by Professor Retroman. There is still so much more that could be added in the future. Keep an eye on this thread for future updates & info. very nice set of cpc cards.. ! i am looking for a simple card to plug directly into the back of a CPC464 that will allow me to load files from a memory card. (i don’t care what kind of card..) I don’t need a wifi or disk interface etc. I don’t have a DDI-1 interface, just the normal CPC464. Do you sell such a card ? M4 board can be plugged directly into a CPC464, no DDI-1 interface needed. You can access files from the microSD just as in the video in previous post. Can you tell me how to get one M4 Boars. Hello Richard I am realy interested in the M4 where can I buy your great device from? Hijo Duke, i would like to get one M4 board for my CPC 6128. Could I still obtain one? Do you have model with bus cable connection to board? Do you still have M4 boards to sell? Yes, I do still make them. Hi, Duke. I would like to buy a M4 board too. I would also love to buy it. I would like to buy one M4 board for CPC and CPC Plus. Can you tell me how to proceed? Good morning Duke, I just discovered the M4 board for CPC in the va-de-retro forum. It’s a great product. And I’d like to know how to buy one. You can send me mail. Great work and thank you very much. I would like to buy a M4 board for CPC and CPC Plus. Hi Duke i would like to ask for the availability of the m4 borad for cpc 6128 plus with french keyboard and what is the cost? Some how your message ended up in my massive spam filter. If anyone else has messaged me and not got an email back, please post again. It will take about 4-5 weeks before I can have a board ready (this is usual lead time). Where can I buy the M4 Board? ¿Donde puedo comprar el M4 Board? Email was sent. No reply. I would like to buy one M4 board for my CPC 6128. Can you give me the buying process ? Hello Duke, I would like to buy one of this boards for my cpc6128. I would be delighted to buy one M4 board for my 6128. I’m intrested in buying one of these. How much? Please email. Good Duke, three friends would be interested in buying the M4 is there any way to get in touch with you? 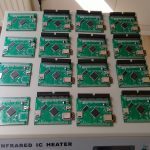 Any of the M4 boards still available for the CPC? Price? have you cards in stock ? Thank you for your reply. I would like to order two (2) of M4 boards. Could you give me the buying process?? Please add me to the waiting list. Thanks. I have emailed you. Same goes for the Aris and Carlos. Just so people know, if you request to buy a card, I will reply to the email address you supplied when posting here (it wont be publicly visible, so please use a valid email address). I’d like to buy a M4 board for a 6128. Same question, how can I buy such a card ? with a classical amstrad cpc connector. I would like to buy this card for a 464+ model. Do I need anything else than the card? Yes, for CPC+ you will need the M4 version with IDC connector + IDC to Centronics cable. Very interested in this card for my 6128+, can send me the details, please? This is Claudio, from Spain. Your work is amazing and I’m sending my congratulations. I would like to buy one M4 board. Please send me the details to proceed. Hi there, I’m also interested in this board, I’m in Greece, could you please send me details about the costs and shipping options? The M4 Board need to use an external powersupply (on herself or MX4). If yes, could you give me the instruction for paiement (paypal ?) else give me a feedback ? The M4 board can be externally powered or powered through the CPC (or MX4). Will send an email to you shortly. This board is a very useful device for the Amstrad CPCs. Great work!! I am interested in a M4 board for my CPC 6128. How do I order one and what are the details for shipping and payment? Hi, I’m interested in getting 2 boards. I remember times when CTM644 was top of my dreams, but downloading from web direct to CPC ?! Couldn’t even imagine it’ll be possible. Definitely want this board, so send me details, please. Stumbled across your videos on YouTube. What a great idea! I’ve tried to transfer files using a cable, but without much success, so I’d really like to buy one of your boards for my CPC 6128 (not Plus). Please can you advise me where I can purchase one from? Just got myself a 464 so interested in one of these boards. Ist das m4 board zur zeit verfügbar? sorry, reading english or german sometimes makes no diffence to me. i found this site while i was searching for information if it is possible to make a raspberry pi zero wifi to do something the m4 board is already able to do. so i am very interested to buy a version for the cpc 464 and aditionally a 6128 version of the m4 board. Hi. Would be interested in a pair of boards. Hi, i am very interested to buy a version for the cpc 464, thanks. Hello, I am writing to you because I am interested in buying a m4 board with wifi and sd card for cpc 6128 disk version basic 1.1 of 1985 Spain. Hi, I’m interested to buy 2 pcs of m4board : 1 for the cpc 6128, and second for 464. Thanks. I’m really interested to buy a M4 Board for my 6128 , if you still make it ! Would it be possible to order two boards from you ? With an edge connector if I’m not mistaken (for a french 464 and 6128). Thanks a lot 🙂 ! I’m interested in buying one board for the CPC6128. I am very interested in the M4 board, can you send me an email with info about how to get one? I would love to buy one of these also. If you can provide details of when we can do that and how much that would be great! I’m intested to buy your m4 board. Hi I’d like a card and cables to work on my 464 and 6128 (I have both and swap occasionally!) Did email you on the forum as well don’t know if you got it. I’ve got a CPC 464 (64k) without any another card. Can I do this with the M4 Wifi Board ? I would like to know the price and if i can buy one : i’m living in France. I don’t know if soundtrakker64 works with it, but I don’t see any reason it shouldn’t. You have a link, I can give it a try. It’s possible to buy one yes, but expect about 6 weeks after order confirmation, before I can have it ready. Hello Duke … It is a great job and I would like if it is possible to buy an M4 board for my CPC 464. Could you tell me the purchase process? Hello Duke, wow I dodn’t know there was still a way to get a CPC online. I would be interested in buying a M4 board for a CPC 6128 and 464. Could you please send me a email how to order from you ? Thank you very much! Hola Duke me gustaria saber si aun vendes la M4 y la placa madre para poder conectarla al cpc 6128 si me podrias dar precio de las 2 . But yes I still make M4 boards, lead time is about 6-7 weeks. Same thing, how to order ? Email was sent. But no reply, maybe you did not use correct email address? Hi mate, I’d like to place an order for your awesome M4 board. I live in Greece. Please contact me for further arrangements. Cheers! Would like to buy an M4 board for the CPC 464 ! I hope use a M4 Board. I need shipment delivery to Madrid/Spain. Tell me how much and how I must paid you for M4 board and shipment. I want to buy an M4 board for my Amstrad CPC 6128. Please, you can tell me what I have to do to get one. Another question, I have seen the new M7 project, as I read it is an M4 but better. Can you order now? or is a project still. If the M7 works like an M4 but also is more advanced, I would buy the M7 and not the M4; as long as it can be ordered now. M7 board is still in development and it may take many months before it’s finished. So it cannot be ordered yet. Also it will be more expensive than M4. 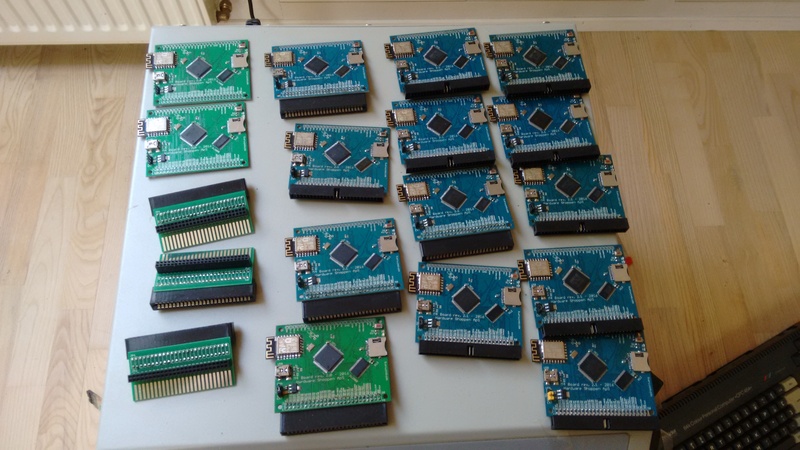 I’m interested to buy one card for my CPC 464 and 6128. 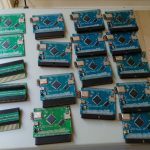 Do you still have some M4 Boards for sale? I’m interesting in buying one. Thanks! I have an Amstrad 6128 and sound very impressive connect the amstrad to internet. Do you still have a M4 Board? I would like to buy one if is possible. Thanks for an amazing job. It brings back the excitement about our vintage computers. What do I have to do to get my hands on an M4 for my CPC6128? If you’re making another batch, can I get an M4 too? Can’t wait to get one even more. Already queued patiently. Do you know about any cases for it? I mean, there is one on eBay, but thought about something cheaper. When using SymbOS with M4, you can go on IRC. But SymbOS, does require more than 128KB memory to use network applications. I haven’t gotten around making a case for the latest revision board. There is one on thingiverse, but thats for the edge connector version, maybe others have made one. Notice there is a difference between IDC connector & Edge connector and PCB revisions before v2.4, are bigger. Latest revision is v2.5B and is same size as v2.4. I would like to ask for the availability of the M4 Board with Edge connector. I want one for my CPC 6128 (french keyboard) and what is the total cost ? I would like to buy a fully-assembled M4 board please for my 6128 (edge connector). How can I get one please? want to buy one for my 6128. I would like to buy an M4 for my CPC464, please emails details on how to purchase one. As nearly almost the rest of the friends in this thread, I’d like to know if it’s possible to get one of your fantastic M4 boards for a CPC464. Will you please provide instructions on how to proceed? I’d like to buy one of your Amstrad CPC M4 boards too. Please could you let me know how to go about buying one. Hi, I´m interested in buying a M4 for my CPC 464, shipping to Iceland. I’d like to buy one of your Amstrad CPC M4 boards for my 6128. As for anyone else, if you want an M4 board, just leave a message here and I will email you. Please state what connector you need (regular edge connector or IDC / Centronics / adapter to edge). I would like to purchase an M4 board (IDC) and a Centronics to IDC cable, please. I like’d to order a M4 board with IDC connector and a Centronics to IDC cable. Thanks in advance. I like’d to order a M4 board with IDC connector and a Centronics to IDC cable. Hi Duke! I want to order a M4 Board for the amstrad cpc 464. Please email. Thank you. Hi Duke, I´m interested in buying a M4 for my CPC 464, shipping to Italy. Email was sent. Let me know if you did not receive it. I am very interessted in buying an M4 board. I have a german CPC 6128 (with centronics port) and a french one (with edge port). I’d like to be able to use the board with each of them. Hi Duke, I’m interested in purchasing a M4 board, could you please provide instructions? Thanks! I too am interested in purchasing an M4 board compatible with an edge port. I’d like to buy another board. Can you send me e-Mail? Could I please buy a board. I want to buy a m4 for my 6128. Waw, what a f* dream as your nice M4 board for my old nice CPC 6128 🙂 Can you help me to buy one? Also, I’ve got yet just a 3D build case for “2018 revision 2.5B” on eBay. As for case, PCB v2.4 to v2.5B are all same dimensions and can use same case. But notice there is a difference if the board is mounted with Edge connector or IDC connector. I would like to purchase a M4 board for a spanish 6128 and a 464. Is this possible for both? shipping to spain. Awsome work! Thank you very much! I would like purchase one M4 for my 6128. I would like to buy a M4 Board, including possibility to use wifi and SD card slot. How do I get One? Is it possible to get such a board including getting more RAM? I would like to purchase a M4 Board for a CPC 464 – Shipping to Denmark. Hi Duke . Is it still possible to get one of those cool M4 boars? Mine is a CPC 6128, and I’m from Spain. Is it possible to get an M4 Board for the CPC 6128 from my childhood ? I live in France. I would like to purchase an M4 Board with the appropriate connector for my CPC 464 Plus. I’m from France. 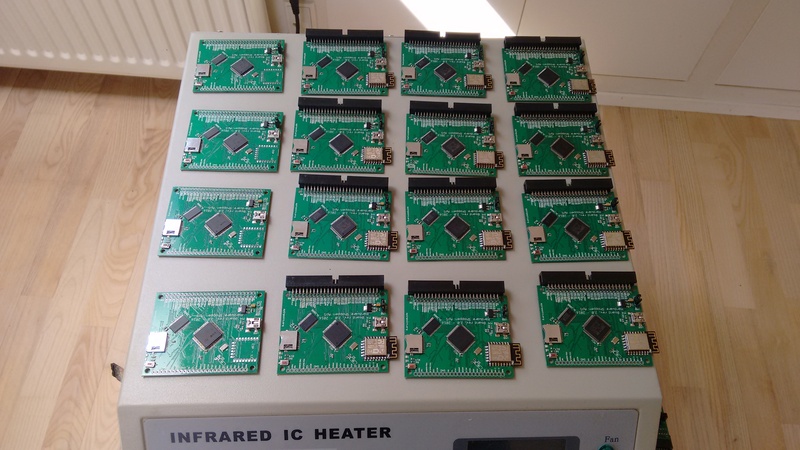 Fantastic job on M4, I would love to buy one for my old CPC 6128,please contact.Shipping to Spain. Hello duke, very nice job how can i buy you one of this m4 board for cpc 6128 with edge connector plz ? If you’re here, you’ve likely decided you want an M4. But if you’ve just come along out of curiosity and are wondering if you should get one, I can maybe help you out with your decision. If you have a CPC, you want this board. Simple as that. It’s a brilliant product and quite an amazing achievement. They’re built to a very high standard and are just feature packed. Copying files to my CPC over WiFi? It’s damn near witchcraft. These are worth every single penny, heck they’re probably the best value for money I’ve had from a product in a while. I’m seriously considering buying another one. May I please purchase a M4 for a cpc464 edge with an connector. Truly amazing work! This is exactly what I need for my two 464’s. Can you let me know how I can order them? Nice project… I’d like to have one. Can you let me know how I can order them? amazing concept and skills to bring it to reality. I’d like to purchase one for my 6128, I’m UK based. firstly, congratulations on this imaginative and skilfully realised project. Your hardware know how is impressive. Can I ask about ordering on for a 6128 (edge connector) in the UK? Apologies if this is a repost – can’t see if the previous one posted or is just awaiting moderation. And yes when a post is made here, I have to approve it, before it shows. So for everyone, once your post shows, it means I have read it and will send an email soon. Can you please contact me ? Hi, just getting back into the CPC after a few years and your M4 looks amazing, congratulations. Do you have one I could buy? 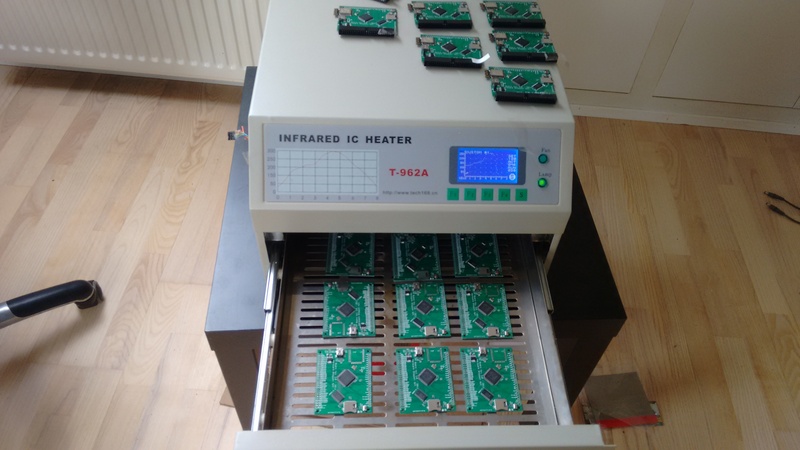 I’d love to have one of these for my cpc464 …. Do you have any available? I’m interested in M4 board …. Have you any available? Any chance to buy an M4 board for my 6128? Hi, I would like to buy the M4 board for CPC6128. Looking to buy a M4 board! Please guide me through. 4) One CPC6128+ – AZERTY. One of my CPC464 has a DDI-5 and my CPC6128+ a C4CPC. I wish to be able to use a M4 Board in any machine, so what will I need for it? I would also need it to work with an expansion backplane board so I can add memory extension. I may also consider buying a second M4 Board as well. Delivery will be in France. Looking to buy a M4 board for my 6128. Yes, they are still available. Muchas gracias por todas tus aportaciones. Me gustaría adquirir un M4 para mí Amstrad CPC 464. Por favor, ¿Me podrías decir cuánto me costaría? Will send you an email. Brilliant work, would be keen to buy if you are still producing? Thanks. Yes I still produce them. So many requests for the M4 board. I too would like to buy one, if its $40 USD then i would certainly fork over that amount for the board :P.
please contact via email which i will give under this..
Just to clarify, I think I have written it here before, but here is is again. M4 board with edge connector, 43.5 euro (this is the version that plugs directly into regular CPC). M4 board with IDC connector, 40 euro (this is version that can plug into various adapters or Centronics cable for CPC plus). IDC to edge adapter, 7 euro (connect IDC version to regular CPC edge connector). IDC to centronics cable, 7 euro (connect IDC version to CPC plus or Schneider 6128). Shipping cost is 4 or 8 euro with unregistered shipping (depending on the amount of items, increasing weight over 100 grams). Hi, I would like one of these boards for my old CPC6128 and CPC464. Please contact me to arrange a purchase, if possible. Thanks!! Hi, I am interested in a card, can you email me? Thanks! Email was sent 23rd of March. No reply. I’d like to buy one plus the connector to be able to use it on CPC6128+ and regular CPC (so need both Edge and Centronic connectors adapters). I it possible. I’m interested in buying one of these. I’m based in the UK. Congratulations for your great work! I’m interested in buying a M4 board with edge connector. Can you answer me about this, please (I’m based in France)? I’m interested in buying one of these. I live in From Spain. I want to purchase two units and m4 extender connection board. please send a email with instructions.